Motion themes for Apple Keynote. Is there a better alternative to Motion Themes for Keynote? 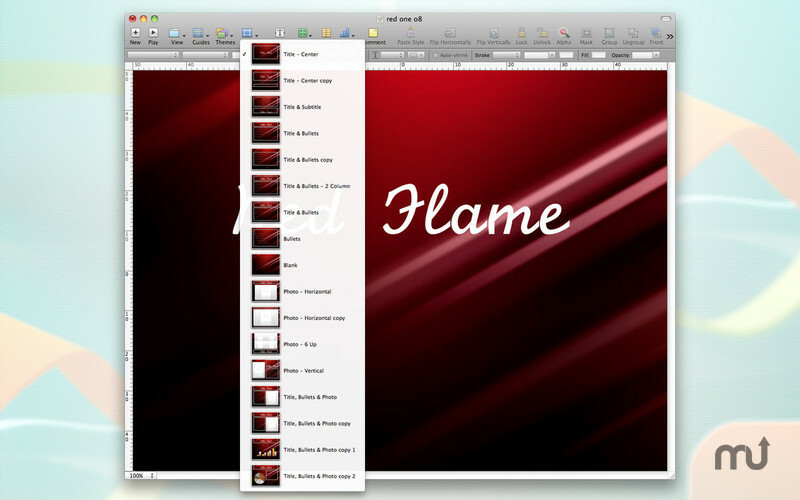 Is Motion Themes for Keynote really the best app in Author Tools category? Will Motion Themes for Keynote work good on macOS 10.13.4? 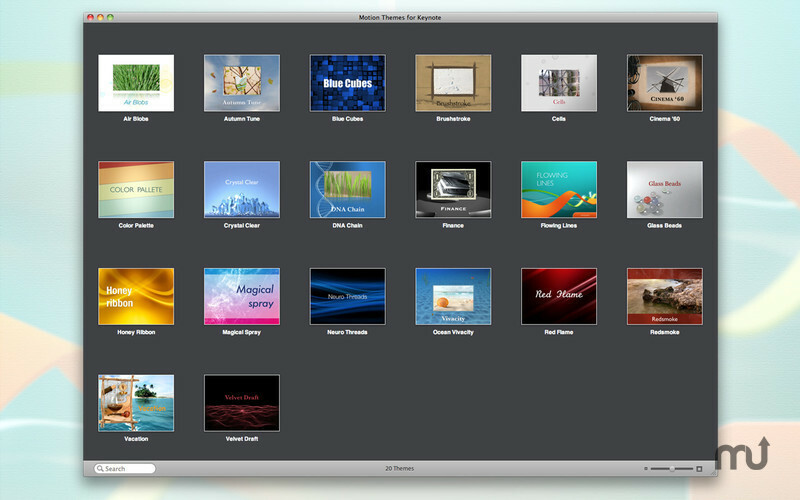 Motion Themes for Keynote will give you exclusive presentations. The pack includes 20 motion themes, each providing 14 master slides, which allow you to choose the ideal layout for your ideas, proposals, and solutions. Use the matching motion backgrounds, fonts, frames, and bullet styles to drive your point home. All themes are available in two sizes: 800 x 600 and 1024 x 768 pixels, and can be exported to QuickTime. Fixed crash on launch for latest macOS versions. 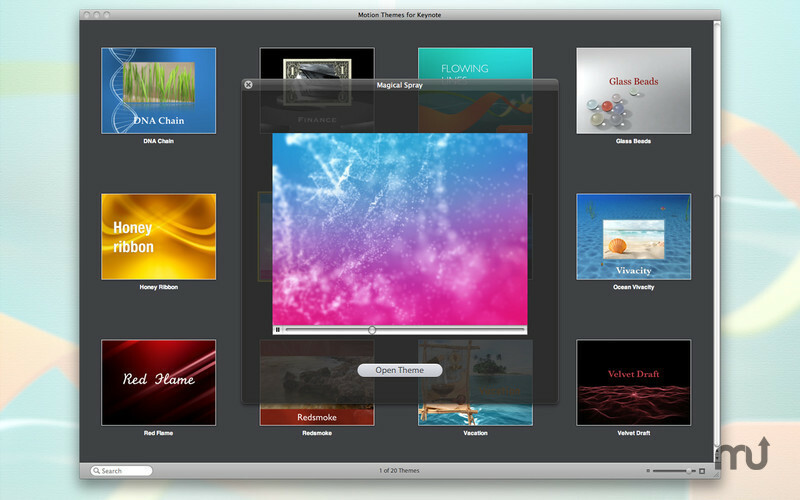 Motion Themes for Keynote needs a review. Be the first to review this app and get the discussion started! Motion Themes for Keynote needs a rating. Be the first to rate this app and get the discussion started! Share your ideas, proposals, contracts, solutions, and demonstrate the advantages of your business over others and obtain the best results. 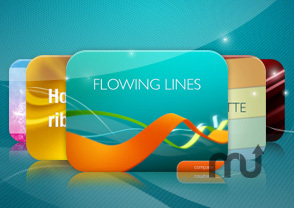 Motion Themes will help you reach your goals with your presentations. You need not worry that Motion Themes featuring live themes with motion backgrounds will distract your audience's attention. 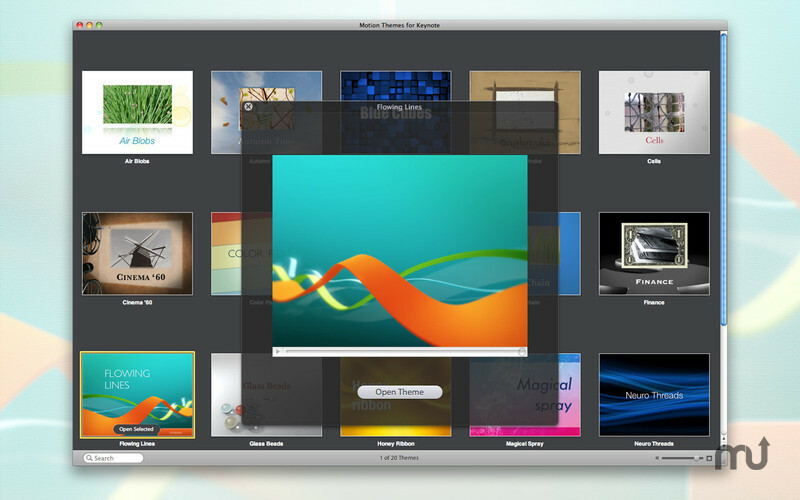 On the contrary, Motion Themes are designed to create an ambience that surrounds your presentation.